The crispy mackerel crackers were beyond addictive when paired with the homemade chilli, which really packs a punch. 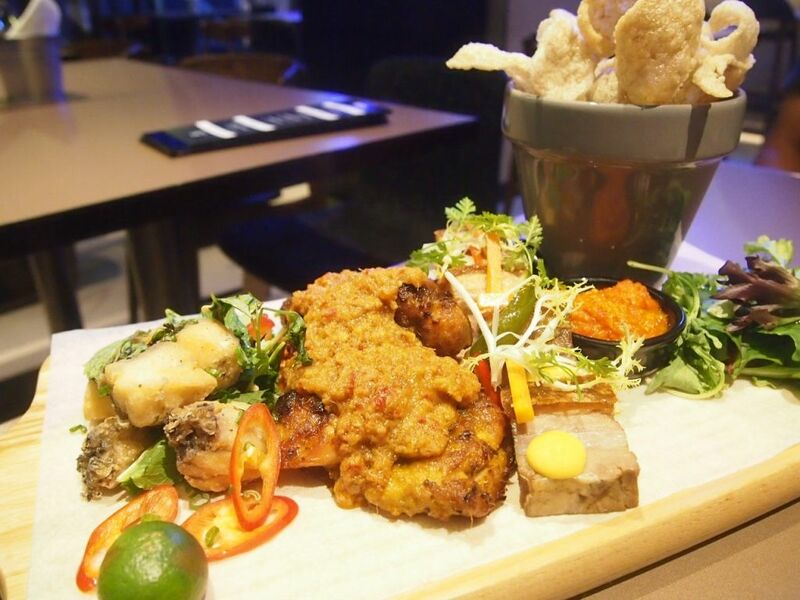 The fried barramundi seasoned with just salt and pepper was my favourite, followed closely by the 12-hour slow-cooked crispy roasted pork belly, and finally the grilled chicken with housemade satay sauce. What a good way to kickstart dinner! If only I could have more of those crackers.. 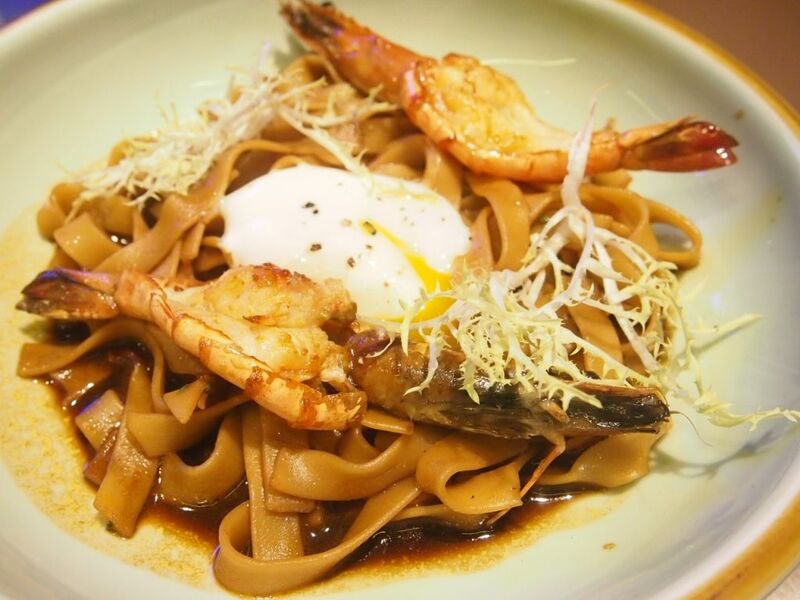 This dish is an interesting take on our local prawn mee. Fettuccine is used instead of the familiar yellow noodles. Personally, I felt that the fettuccine was a tad too thick. While the description of the prawn noodles seemed enticing, I thought that the flavours could use a little fine-tuning. The sauce had quite a pronounced spiciness but fell short of impressing. 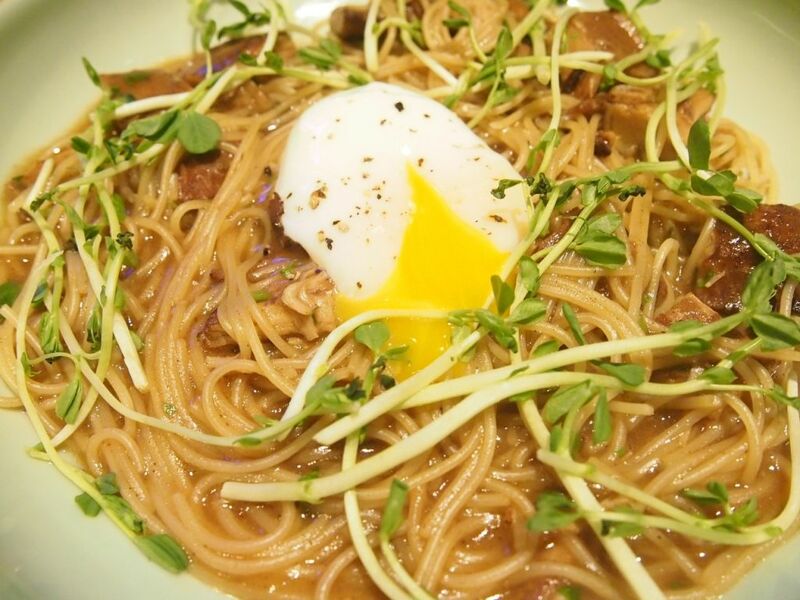 The sauce that the capellini sits in has a commendable consistency and the way the capellini has been prepared allowed it to soak up the sauce adequately. The unique dish is completed with a beautiful 62 degrees hen's egg and tender braised pork cheeks before it is topped off with vegetables for that final "Asian" touch. 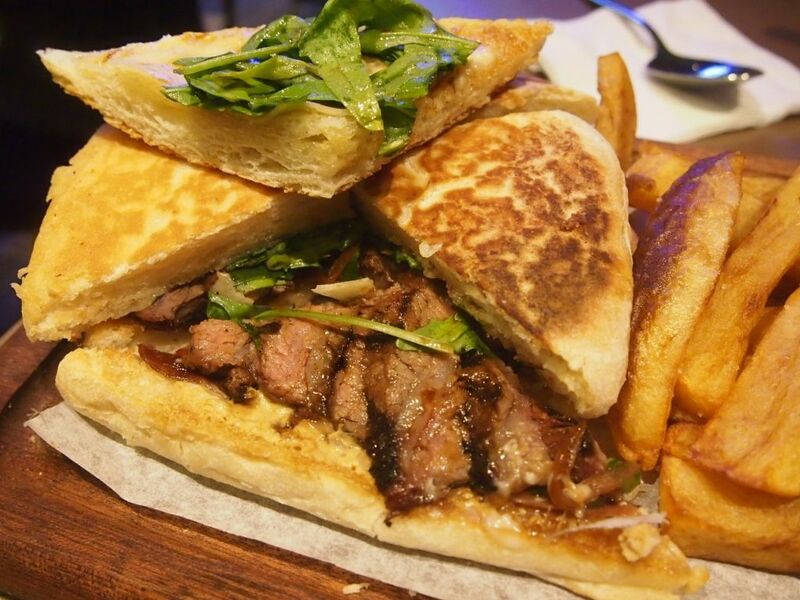 Beef hangar steak, air-cured beef, hot pressed ciabatta, pickles, house-made onion chilli jam and melted Gruyere. Doesn't it sound amazing? And the best part is, it tastes better than it sounds! I loved the onion jam which really accentuated the flavour of the beef and the fresh and soft ciabatta that was armed with a light crisp. The sandwich was actually really good! Those chips, too! 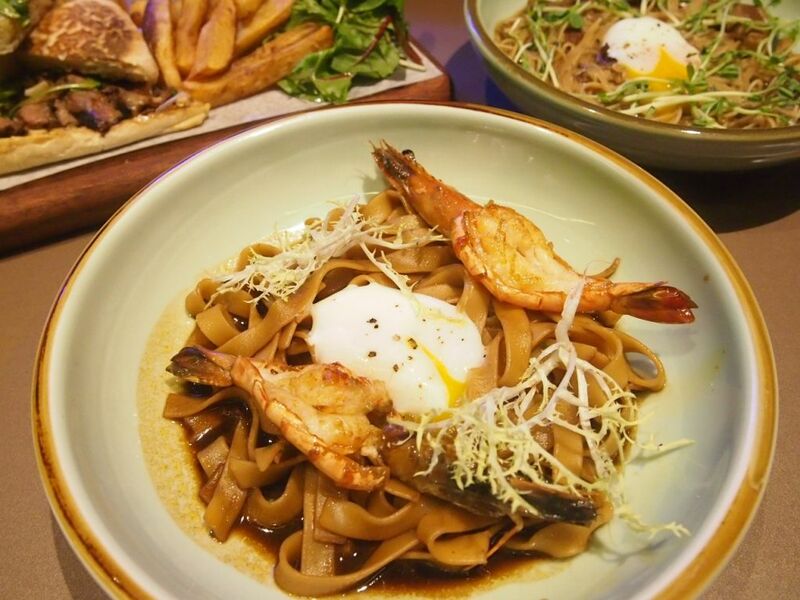 Long lines are always observed at the chwee kuey stall in Tiong Bahru Market and you can now find a expertly executed rendition of it at COO! 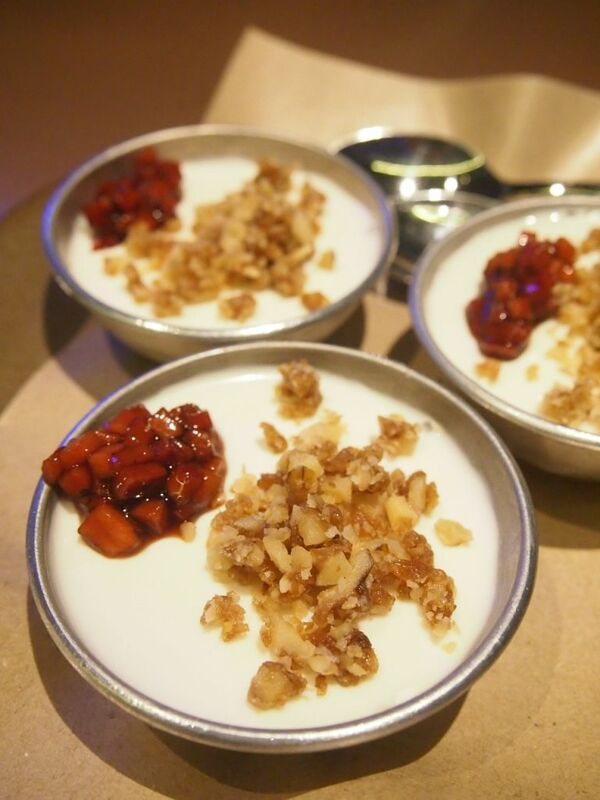 Served in round metal cups just like how chwee kuey is made, panna cotta takes the place of the kuey, candied walnuts the place of 'chai po' and balsamic strawberries the place of chilli. I couldn't stop raving about how adorable and brilliant this creation is! No doubt one of the most innovative desserts I've ever seen and it's so yummy too! 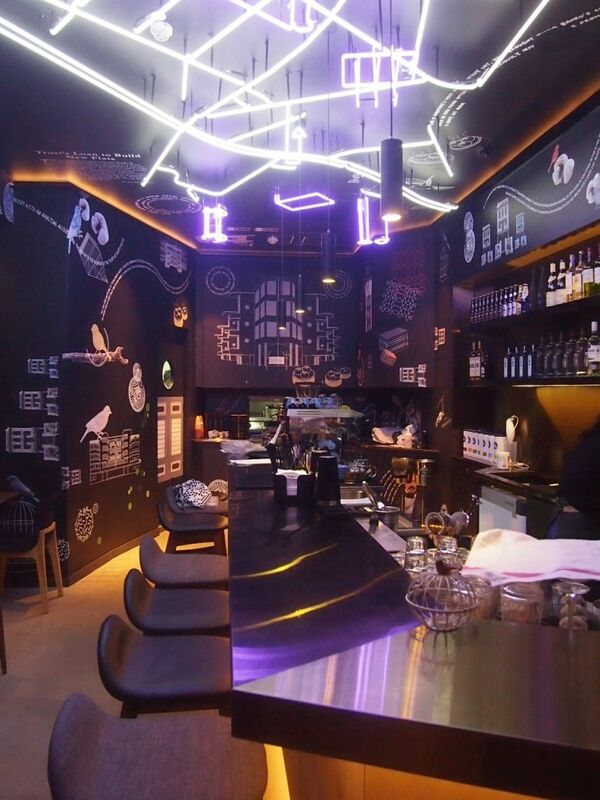 The neon lights are modeled after the Tiong Bahru estate and the walls are covered in drawings of iconic buildings in the vicinity. 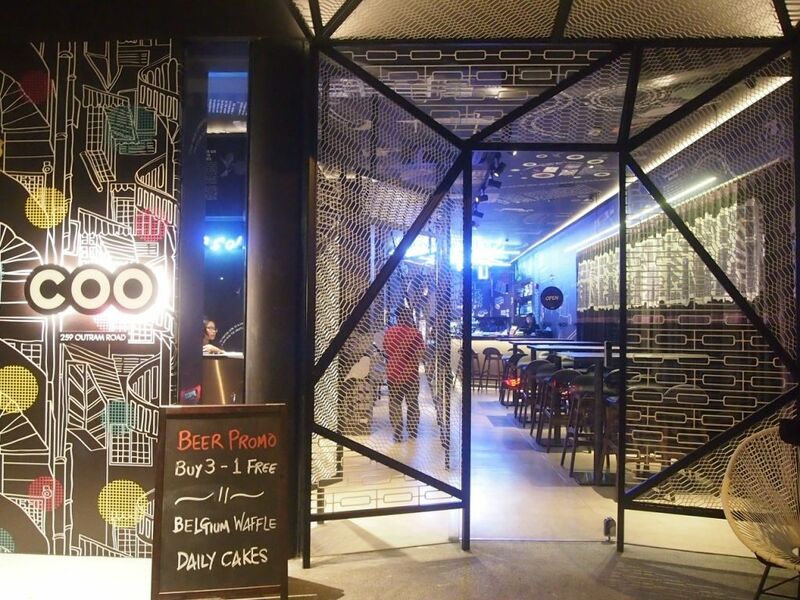 The effort and thought that has gone into the outstanding design of COO Bistro is laudable. Don't miss out on their brunch menu, lunch specials and attractive deals on alcoholic beverages!